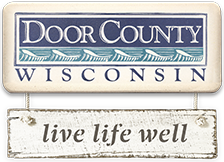 The Door County Visitor Bureau (DCVB) has released a series of videos highlighting the top attractions of 10 of Door County’s most most visited communities. The series includes videos focused on Sturgeon Bay, Sister Bay, Fish Creek, Jacksonport, Baileys Harbor, Egg Harbor, Southern Door, Ephraim, Liberty Grove and Washington Island. Produced by Peninsula Filmworks for the DCVB, the one-minute videos feature dramatic aerial footage, iconic locations and voice-overs by people who know the communities best.